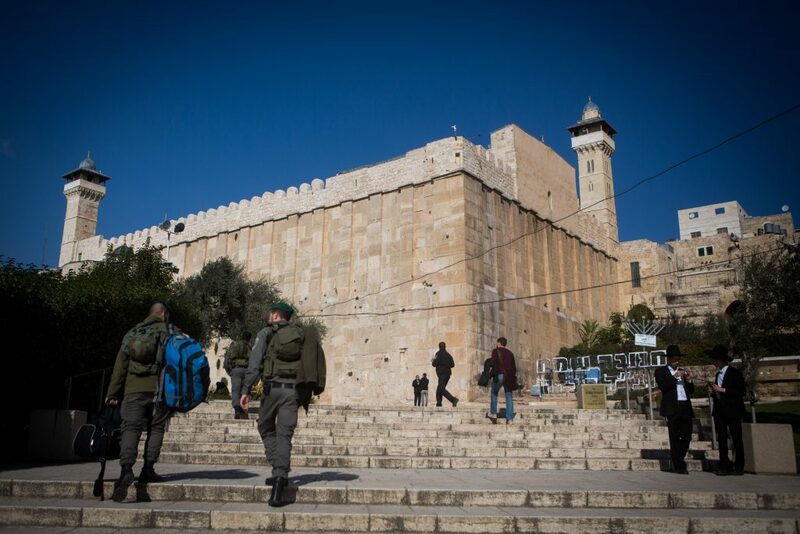 YERUSHALAYIM – Tens of thousands of Jews are expected to spend Shabbos in Chevron this week. According to leaders of the Jewish community in Chevron, all hotels, hostels, and other facilities in Kiryat Arba and Chevron have long been sold out, and many will spend Shabbos sleeping in tents and dining in a communal tent. The annual event on the Shabbos of Parashas Chayei Sarah commemorates the purchase of Me’aras Hamachpelah by Avraham Avinu. The details of the purchase are in the parashah that is read this week. Police recommended that visitors to the city leave early, as major traffic tie-ups are expected. Speaking Thursday, Deputy Foreign Minister Tzippy Hotovely called for the government not to renew the mandate of the Temporary International Presence in Hebron (TIPH), the international peacekeeping force that has operated in the city since 1994. The original objective of the force was to keep the peace between Jews and Arabs in the wake of the attack at the Me’arah that left 29 Arabs dead. In recent years, however, many Jewish residents of the city have complained of what Hotovely called “discriminatory and heavy-handed tactics” against them, “with violence used against Jewish residents and IDF soldiers at times.” Hotovely wrote a letter to Prime Minister Binyamin Netanyahu asking that he consider not renewing the TIPH charter the next time it comes up for renewal, and, she said, Netanyahu said he would consider doing so. “The presence of TIPH observers in Chevron does substantial damage to IDF soldiers,” Hotovely wrote. “The group’s mission does not serve Israel’s interests. The force is a hostile body that sees its principal purpose in criticizing the IDF alone, ignoring the behavior of Palestinian terrorists in the area. In recent weeks, the group has begun acting with violence against Jews. Given all this, I recommend that the TIPH charter not be extended,” she wrote.